My research is underpinned by using the geochemistry of minerals to reconstruct past conditions, either in magmatic, metamorphic or environmental systems. I particularly use isotope geochemical methods and the physical properties of minerals to determine how they formed and to extract geologically relevant information (such as magma or hydrothermal fluid compositions). My research has involved technique development (particularly in mineral spectroscopy) and I have a reputation for working in Arctic environments. I commonly consult for Exploration geology companies. Understanding the origins and mobility of rare elements such as niobium, zirconium and rare earths associated with alkaline magmatism. I have studied a variety of alkaline and peralkaline igneous rocks including syenite, nepheline syenite, lujavrite and carbonatite. My work has sought to understand more fully the mechanisms by which rare metals, such as rare earth elements, become concentrated in magmas, and how late-stage post-crystallisation processes modify and mobilise elements. This work involves studies of the mobility of rare earths and high field-strength elements such as zirconium, hafnium, niobium and tantalum. I am part of two consortia, HiTech AlkCarb and SoS RARE. I consult for a number of Exploration Geology companies interested in the petrology and petrogenesis of alkaline rocks and rare elements. The physical properties of minerals as a tool for provenance and geological history, particularly in gem materials using luminescence techniques. 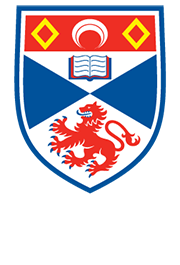 I have links with several gem and gem-testing laboratories, supported by the Facility for the Luminescence of Minerals at St Andrews University. The geochemistry of biominerals as archives for past climate in collaboration with Dr Nicola Allison. This research has been funded by several Research Council grants. My research group (‘the A-team’) past and present is listed here. Current staff include Dr Will Hutchison, Dr Anouk Borst and my current PhD students are Nicky Horsburgh and Kris Sokol.